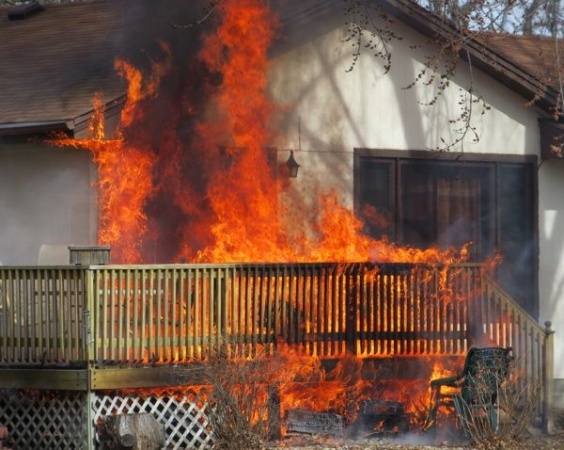 Is your decking at risk of fire? With the recent fire tragedy in London, fire safety has been pushed to the forefront of our minds. While it is part of nature, when fire destroys homes and lives, it becomes a huge concern. This terrible event in London has probably left you wondering about your deck or your proposed deck when it comes to fire. Is it safe to have a deck? Well, the best way to answer that is to educate yourself on fire safety and your homes bushfire attack level (BAL) rating. How do you find out if you are in a bushfire prone area? You can contact your local council to ask if your property is located in a bushfire prone area. If it is, you will need a BAL assessment before any building can commence. In fact, a building permit will not be issued if a BAL assessment is required. There are many companies in Perth writing BAL assessments – we have a very reliable associate whom we trust with our clients’ assessments. What is the Australian Standard 3959? The Australian Standards AS 3959 is a rating given to materials used in construction covering the bushfire safety requirements of building in a bushfire prone area. What does this mean for your deck? 1) Why not consider building a steel frame with an Australian Standards AS 3959 hardwood like Merbau on top? 2) Or a composite deck like NexGen’s aluminium DryDeck that has been approved for use in flame prone areas. The DryDeck is heavily fire resistant, as the boards never spark, catch or burn making them ideal for fire prone areas. Another benefit of NexGen DryDeck is that it is waterproof! 3) NexGen composite decking has been tested to adhere to Australian standards AS 1530.8.1-2007 in 2016 in a fire test that had a 60 minute duration at 250 degrees Celsius. Decking is a very worthwhile investment both for your homes’ value but also for your comfort and for the tranquillity it creates. You can trust us when it comes to building your decking. We have the knowledge, the experience and we care. Castlegate Home Improvements will ensure fire safety is considered and will help you obtain your BAL assessment in bushfire prone areas.